Swedish lifestyle audio brand Urbanista today introduces the latest addition to its wireless sports earphone range. A collaboration of refined sound and elegant lightweight design, the Chicago is billed as any athlete’s perfect sidekick. Featuring specialised 10mm drivers, the Chicago are wireless earphones which are equipped with Urbanista’s unique GoFit tips. The Boost tips are ideal for concentration during an intense gym workout as they form a tight seal to isolate background noise while the Sport tips are better for a city jog where there is a greater need for situational awareness, as they allow more exterior sound to filter in. An athlete’s journey to self-improvement requires endurance and reliability and with seven hours of playtime, the Chicago earphones are ready to take on any challenge. Neither sweat nor rain will have an impact on rigorous work outs, claims Urbanista, as the Chicago incorporates IPX4 water resistance. 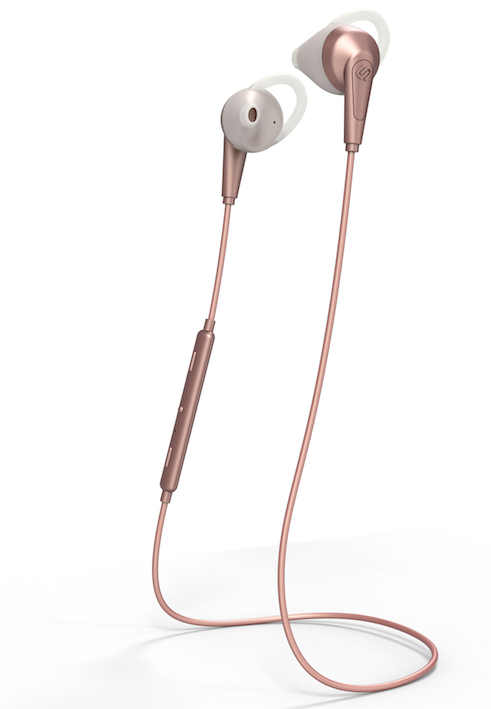 The earphones are stylish, lightweight and practical, providing the latest in Bluetooth technology. Music and calls can easily be managed during an exercise session in the gym or on the streets using the integrated buttons on the earphones. For further convenience, the Chicago tips are magnetised so it’s easy to store them, completely tangle free.